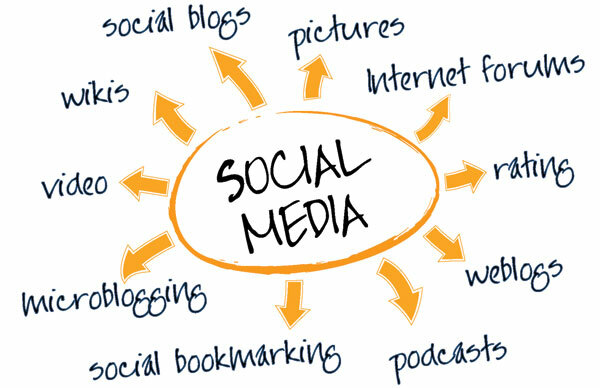 Social Media can be overwhelming, especially for businesses. You have to choose what channels to use, how you want to be perceived, how you are going to integrate it into your marketing goals, and so much more. Taking on such a extensive task with social media shouldn't be stressful, so Built To Optimize is here to help you decide which social media networks will serve your business the best. Below we have listed some of the most common social networks that are available to businesses and how you can interact with different audiences on there. Facebook - One of the most common and the ground breaker for business social media, this channel type can really match any type of industry considering there are so many users. The only recommendation is that B2B companies shouldn't rely too much on growing an active audience on here. It is difficult for businesses to follow and interact. Twitter - This micro-blogging site will be good to keep your audience updated on a regular basis with short and to the point material. Twitter is a great channel for B2B companies and companies that may have breaking news and updates throughout the day. Twitter's user base is heavily populated with the younger generation for B2C companies. LinkedIn - Known as the "Facebook of Professionals", LinkedIn is a great place to network and get to know others in your industry and grow relationships. This is heavily relied on B2B industries, where you can connect with other professionals in your industry and connect with business news and updates. YouTube - Mostly relies on B2C interactions with the videos and the inside look you are provided your viewers. While you can be in the B2B industry and use YouTube, it is more difficult to collect a following and get the interactions you are looking for. Videos are a great way to connect with your customers on a more personal basis by delivering more personal messages. Google+ - While it is still new to the social media playground, Google+ is worth having a presence on for any business. Whether you are a local business or a corporate brand, Google+ allows you to target your different types of audiences through the different circles you can create. Whether you are in B2B or B2C, you can find value in having a presence through Google+. Instagram & Vine - These quick visual social media channels are great to reach your audience on a regular basis with snippets of your brand. It works really well with B2C industries and those that are looking to target the younger generation. These channels also heavily rely on hashtags. Pinterest - This is a very unique channel in the audience it serves. The majority of Pinterest is made up of caucasian, women. This is a great channel to reach those in the B2C industry with a heavy reach for women and consumer products. This is great place to spark interests in new ways to use your products. Blogs - The grandfather of social media is online blogging. This is great for all audiences and industries. Blogging is a great asset for your SEO purposes and also to build a solid following with the information you are willing to offer to your audience. The key to social media and growing your audience on channels is to remember one important point; social media is meant to be...SOCIAL. Too many companies get carried away with trying to "sell" themselves to their audience through their various channels and forget the true meaning of why their audience is following them on social media. Most customers and clients that follow brands, find a value in following your company and keeping updated news and interesting content. So be sure to show you value of being followed through your posts and updates. Give your audience helpful information, tips, discounts, ideas, useful information that will connect you deeper with your brand. If you were selling yourself through every post and update, than it should be called SALES media. It's called 'Social' Media for a reason, so be sure to get social with your audience and interact with them. Give them contests, helpful tips, money saving discounts, and more that make them look forward to seeing your next update in their newsfeed.